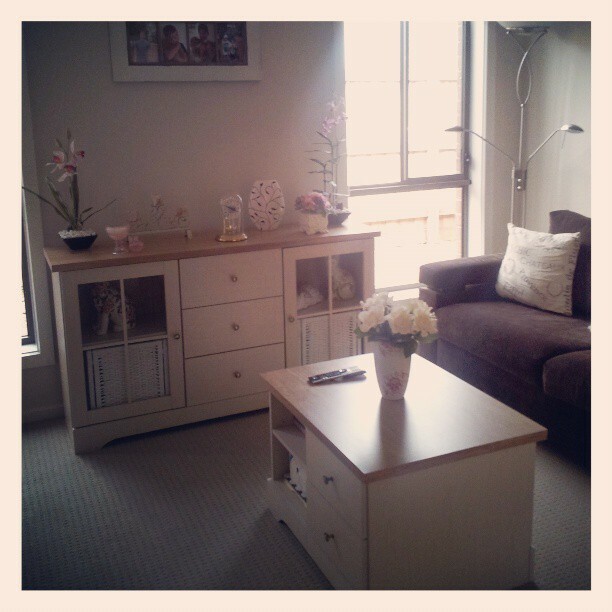 I have always had an obsession with decorating and homewares. I was one of those children who was forever rearranging their bedrooms and posters of Bros and New Kids on the Block on their walls (Of course, in my angsty teenage years those posters became Motley Crew, Skid Row, Gun’s N Roses etc.). My first ever DIY project was an old white single wardrobe and three drawer set was attached to the side of the drawers. 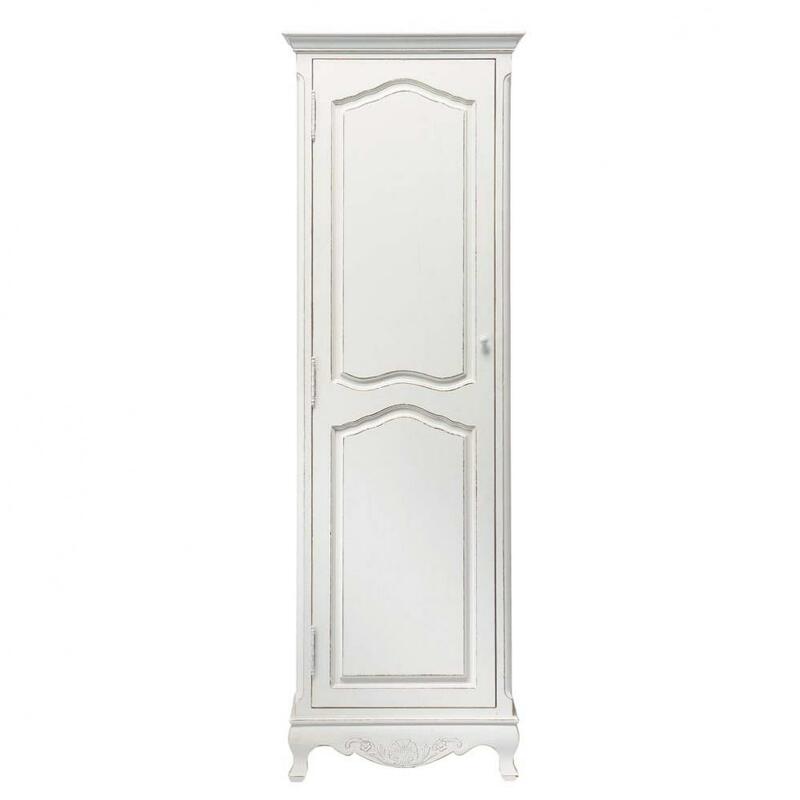 There was a mirror above the drawers, which had inlaid sections on the wardrobe (similar to the one pictured, right). Mum had some pink & white textured contact left over from lining the kitchen drawers (as Mums tended to do back then), so I used it on the inlaid parts of the wardrobe and the fronts of the drawers. It looked really good. Very shabby chic/ provincial. I think I was ahead of my time with that decorating idea… well before Amity used shabby chic on the first ‘The Block’ anyway! 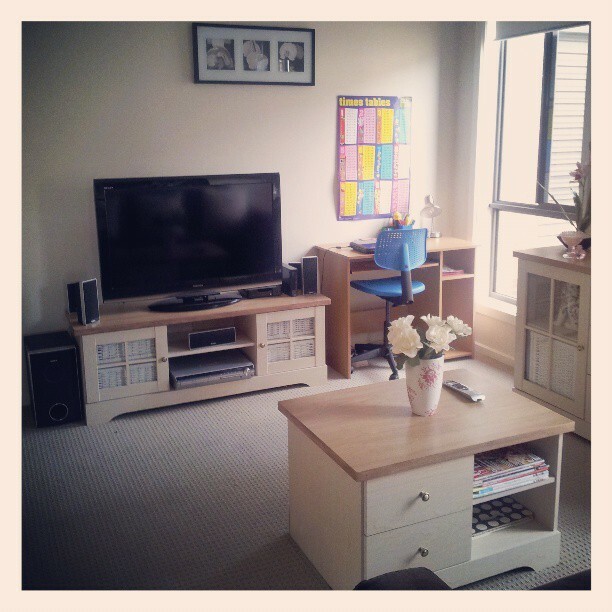 I am slowly going through my house, one room at a time and redoing them, so they are more ‘user friendly’ and organised. On the 7th of May, I will have been in my house for two years. 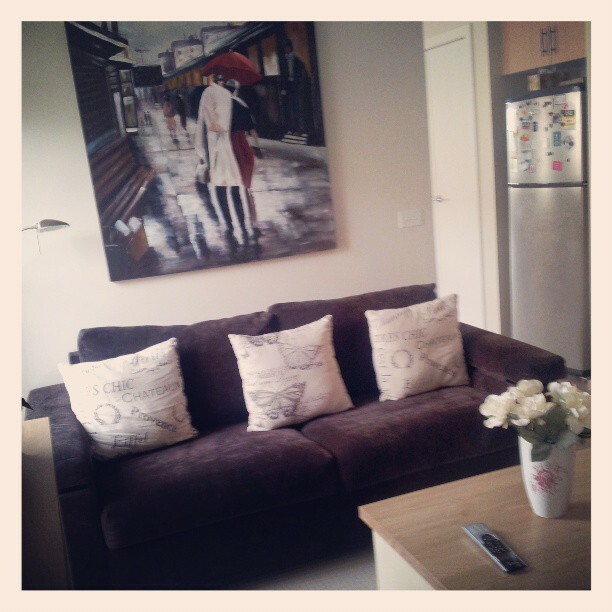 I LOVE my house…. it was brand new when I moved in. Light filled, open planned with cream walls and white trim and doors, I felt like it had been built just for me. The house has four bedrooms (one bedroom is my office) and two living areas, it suits us perfectly. 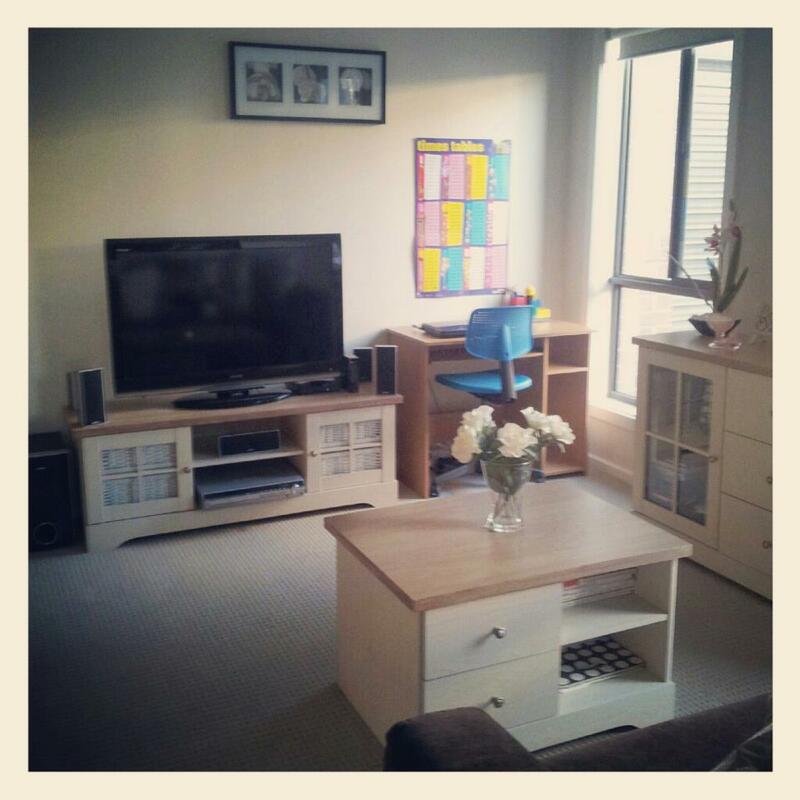 The boys now have the lounge room as their designated area for tv and gaming, while I have my own living area in the middle of the house to watch what I want or for reading. I have also added a study area in there for the boys, so I can watch what they are up to on their laptop and make sure they are doing their homework! I’ve had thing for all things provincial for a few years now and my favourite pieces are the tv unit, side board and coffee table. I bought these from a discount furniture warehouse and they were all flat packed. Yes, I put them together myself. I am one of those strange people that love putting things together. I have a set of three butterfly mirrors from Allissia’s Attic Design. They will be going on the wall, on the left hand side. A better view of the side board and coffee table. The mother and child lamp is from Target. I saw this painting in our local shopping centre picture store and fell in love with it. It goes well in this area too. The middle cushion is from Target, the two end cushions are from Ezibuy and the couch is a sofa bed from Harvey Norman. 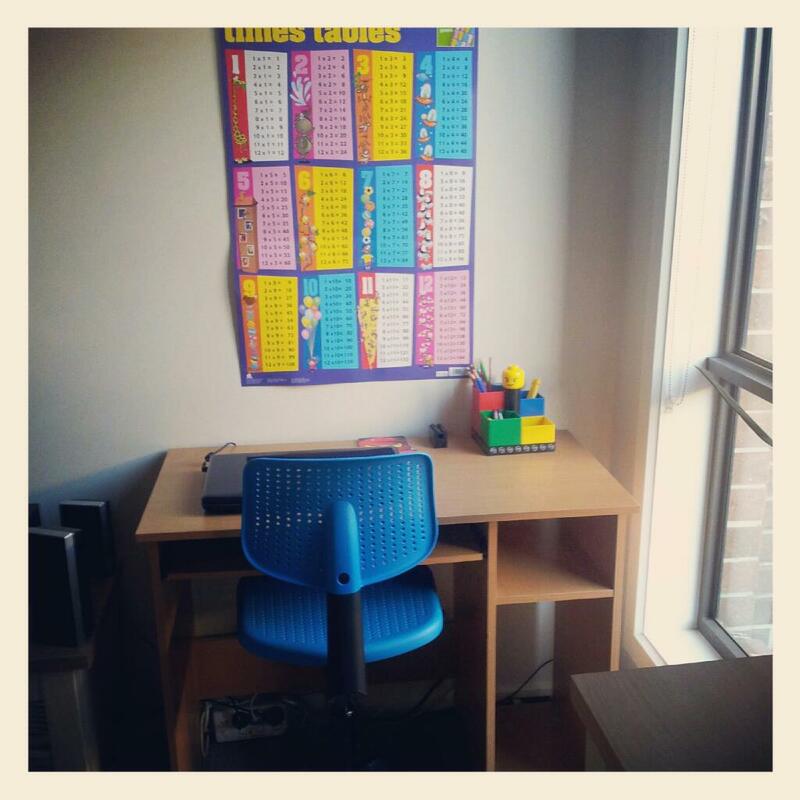 The boys study area. How cute is the Lego stationary? 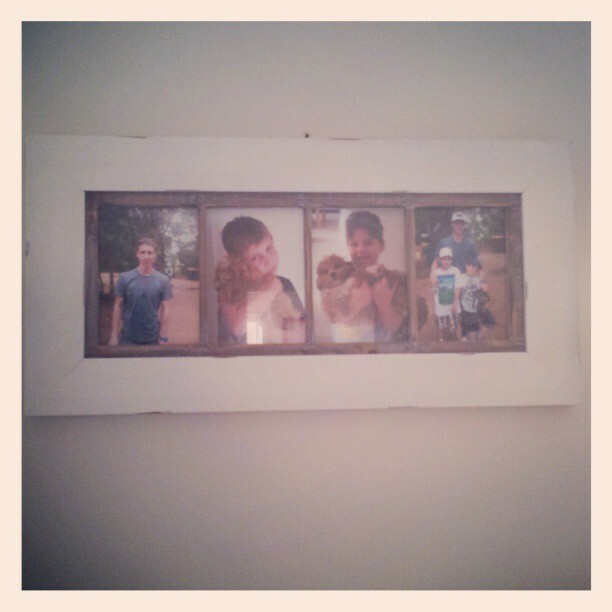 I bought this frame from Bed, Bath N Table’s mega store in Hawthorn called The Works. Love these pictures of the boys (and Max). 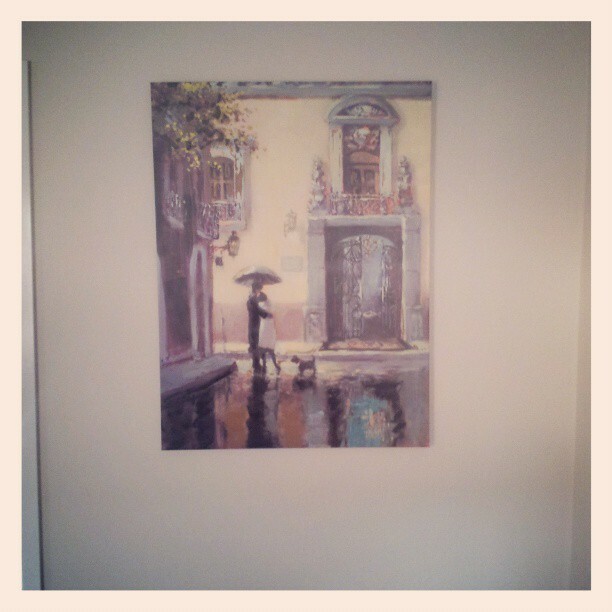 Another painting, I bought this from the same picture store as the one above. Love in Paris.. oui! Have you got a favourite area in your house? I will be posting about a different area of my house over the coming weeks. I would love your comments on them. Previous Post Marie Claire Sussan VIP event. What is in for winter 13?